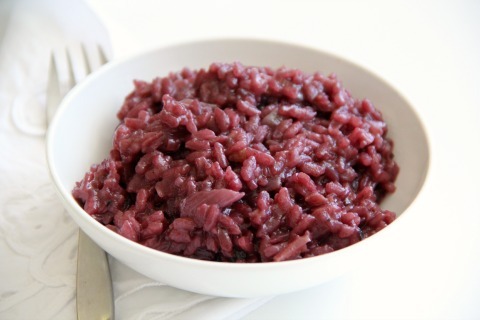 Summary: Jewel-red, deeply flavored and perfect with beef or roasted meats, Red Wine Risotto makes an elegant Christmas dinner. 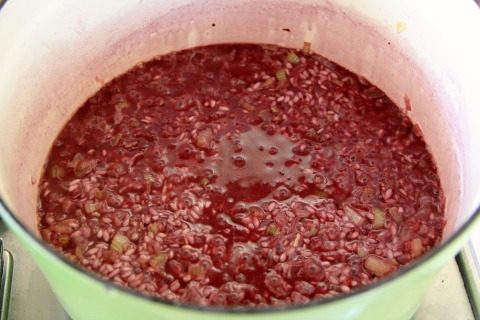 Add about half the wine and simmer, stirring, until the rice starts to dry, 2-3 minutes. Add a couple more ladlefuls of hot stock and continue simmering, stirring constantly. When the rice starts to dry again and needs more liquid, continue with more wine, then with more stock, alternating wine and stock until all are used. 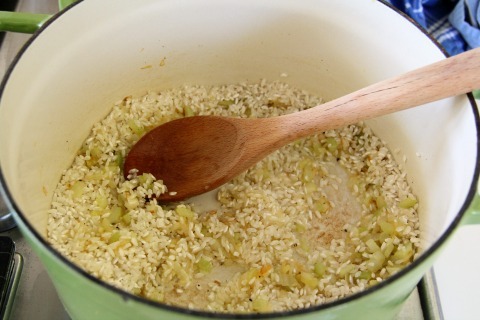 It’s important to stir the risotto constantly and add liquid often so the rice does not get dry. 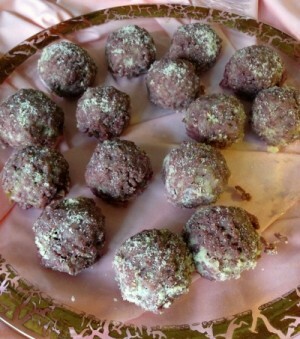 Disclosure: Compensation for this post was provided by Gallo Family Vineyards via Sunday Supper, LLC. The opinions expressed here are those of the author, and are not indicative of the opinions or positions of Gallo Family Vineyards. This post may contain affiliate/referral links. It is a way for this site to earn advertising fees (at no cost to you) by advertising or linking to certain products and/or services that I approve and prefer. This post was originally published Dec. 15, 2013 on Shockingly Delicious and has been refreshed and republished Dec. 5, 2018.